North American Tire and Retread Expo in New Orleans. The show takes place at the Ernest Morial Convention Center on April 15 – 17. Advantage ID will be located along with Marangoni Tread North America in booth# 229. Continuing to serve as a resource to commercial tire retreaders and dealers, Advantage ID will feature a full complement of labels for identification of tires throughout processing and distribution. 3-part or 4-part barcode sets of casing labels are available in a dozen different colors. Custom tracking sequence numbers are easily produced. In addition to the standard 3″ x 6” finished goods/RAR labels; a new larger customized RAR label featuring both a dealer logo and the manufacturer’s logo is growing in popularity. 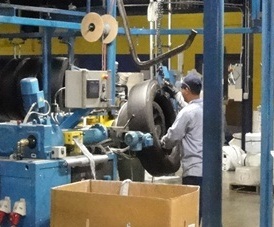 Advantage ID continues to add application specific consumables for the commercial tire industry. 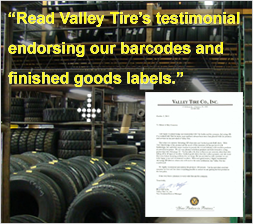 Along with our core products (barcodes and other tire labels) we provide standard and custom business forms, curing envelope barcodes, print systems / supplies, and variety of service tags and other items. Samples and information about any ADID product are available. Our e-commerce website is accessible 24/7. Please email your request for information, samples or website login info to clientservices@advantageid.com, or call 800.328.2612 x 0. Advantage ID serves customers in over 400 locations throughout the US, Canada and Latin America .www.advantageid.com .